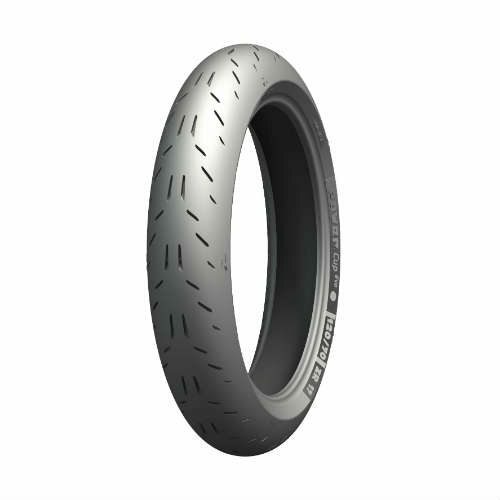 Riders select MICHELIN’s Power Cup Evo tires when they want to run a DOT street legal treaded version of the MICHELIN Power Slick Evo Motorcycle Tire. 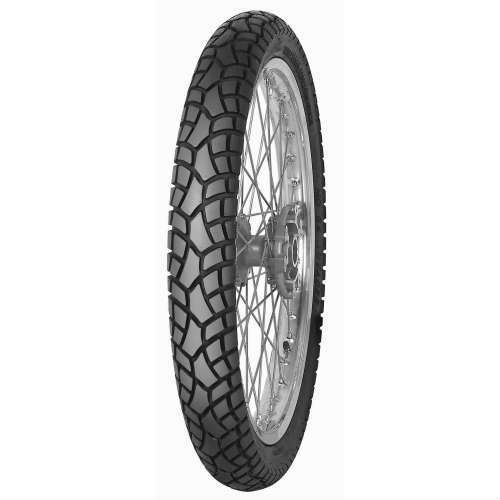 With a void ratio of 5% this motorcycle tire delivers nearly the same performance as a slick tire while complying with road certification standards. Both front and rear tires improves the contact patch to maximize the grip in all conditions. The MICHELIN Adaptive Casing Technology (ACT) make adjustments easy and handling effortless. The adaptive low pressure casing, an exclusive for track use, allows for an increased contact patch. 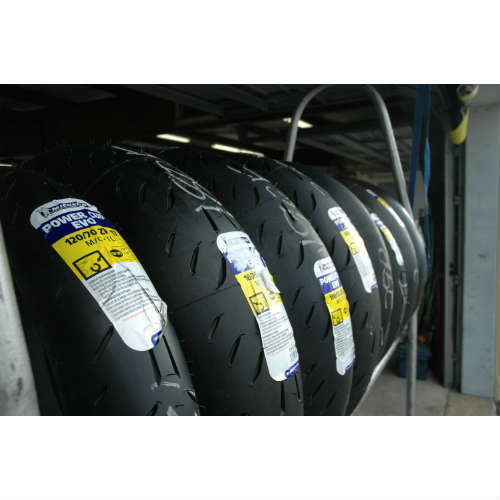 MOTORACE has been a Michelin distributor in the USA for over 30 years, and carries the complete line of US imports from Michelin including all DOT supersport tires and slicks like the MICHELIN Power Cup Evo DOT Race motorcycle tire. We know Michelin Road Racing! 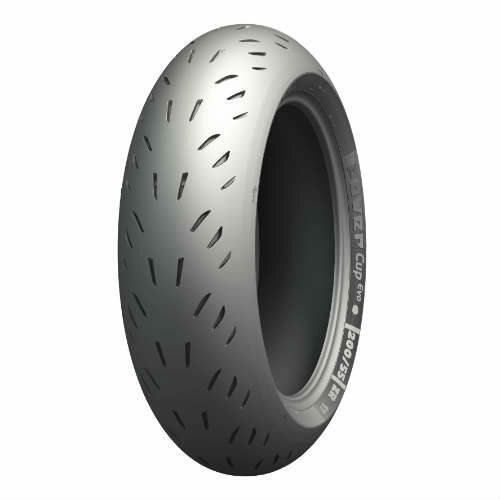 The MICHELIN Power Cup EVO is intended for the track and is ideal for weekend racer. 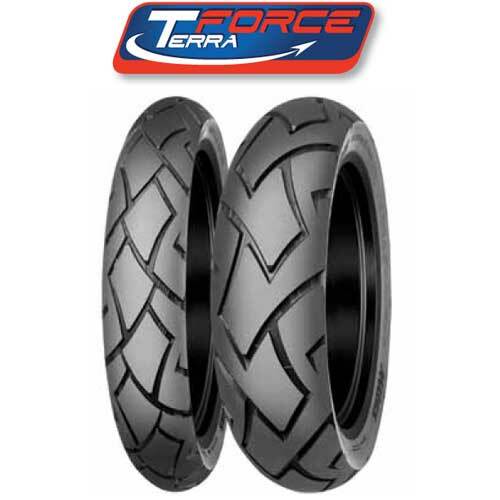 Easy to handle, it features MICHELIN Adaptive Casing Technology (ACT) and a new highly versatile rubber compound that avoids having to make difficult tire choices related to weather and track conditions. 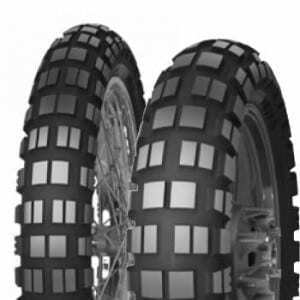 We know a lot about Mitas motorcycle racing tires, because we started selling and distributing their motorcycle tires more than 20 years ago. That is why adventure riders buy their Mitas Dual Sport motorcycle tires online from us. Our customers receive fast free* shipping direct from our own warehouse. When they ask for help, they know they get our best seasoned advice learned over many years working with quality European brand motorcycle tires. Do you race at the Loudon Road Race Series (LRRS)? Order your motorcycle tires from us, because we will deliver and mount them at the track on race day. MICHELIN selected us, MOTORACE, to be their authorized trackside service provider for LRRS. 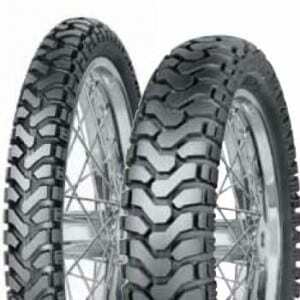 MOTORACE's professional, Sto, will be there to help you with your MICHELIN motorcycle race tires.